The alcohol interlock program was introduced in 2003 as a way to help reduce repeated drink driving offences in NSW, including in Sydney. An interlock device is fitted to the ignition of the participant’s car under the program, and the participant is required to use the device’s breathalyser to test their blood alcohol content (BAC) when they get behind the wheel. What happens if the reading is positive? If the device shows the participant’s BAC is higher than 0.02, the engine will be immobilised, and they will be unable to start the car. The device requires the driver to wait a certain period of time before trying again. This can be between five minutes to half an hour, depending on how high the BAC was at the time. The driver will also be required to submit regular breath tests throughout the journey, to ensure they remain sober while they are driving. What is the process for getting an interlock device? 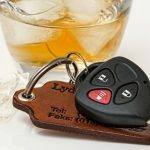 Once the court has approved a person charged with drink driving for admission into the alcohol interlock program, and the driver has agreed to participate, they first need to serve their mandatory disqualification period. Once this period has almost ended, the participant can start the process of having an interlock device installed, and applying for an interlock licence. To be able to drive with an interlock device, drivers will first need to obtain an interlock driver’s licence from the RMS. 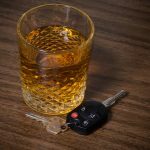 In order to do this, they will need to arrange a consultation with a medical practitioner regarding their alcohol use, and the medical practitioner will need to sign a certificate to verify that the driver has participated in the discussion. The next step in the process is to have the interlock device installed. There are a number of RMS-approved Sydney interlock device installers here. All the costs associated with installation are payable by the driver. Once the medical certificate has been signed, the interlock device has been installed and the mandatory disqualification period is ended, the driver can take their documentation to the RMS and apply for an interlock licence. Drivers will need to agree to the terms and conditions before the licence can be approved. Once the interlock licence has been approved, participants can legally drive vehicles fitted with an alcohol interlock device. Drivers are required to have their device serviced at regular intervals, and they must meet these costs themselves. Servicing is usually monthly, and it is a condition of participation in the program that the device is inspected when required. During the inspection, the data from the device will be downloaded and it will be checked for any signs of tampering or interference. What happens when the interlock period is over? Once the total disqualification period has expired, the RMS will approve the removal of the interlock device. The driver can apply for a regular driver’s licence and have the interlock device removed. If you are facing drink driving charges, or you have been convicted of drink driving and are unsure whether the alcohol interlock program is right for you, speak to an experienced drink driving lawyer. The alcohol interlock program can get you back on the road sooner, and lessen the impact of a drink driving disqualification.